WASHINGTON (Reuters) – President Donald Trump said Friday the United States should not nationalize its 5G network and said private companies should move quickly to deploy the faster next-generation network. The White House mulled the idea of nationalizing the 5G network for more than a year. In March Politico reported that Trump’s reelection campaign supported a government role in managing the 5G networks even as White House officials including top economic adviser Larry Kudlow have said for months they oppose the idea. Trump spoke alongside Federal Communications Commission Chairman Ajit Pai who disclosed Friday the agency plans to hold its third 5G spectrum auction on Dec. 10, the latest effort to make more spectrum available that could transform significant sectors of the U.S. economy. 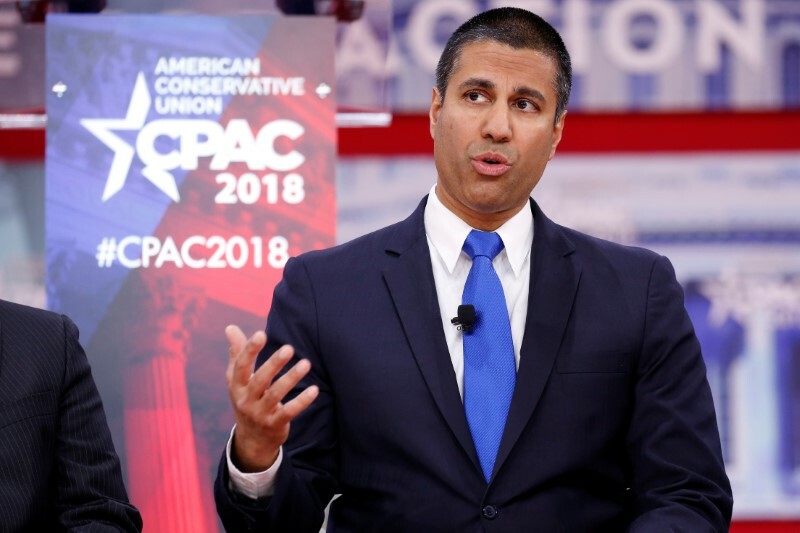 Pai said Trump’s comments opposing nationalization was an “important signal” to the private sector that is investing tens of billions of dollars in the 5G networks. Pai is also proposing to invest $20.4 billion over 10 years to build out high-speed broadband networks in rural America. The Rural Digital Opportunity Fund aims to provide funding through a reverse auction to service providers in areas without access to high-speed service and aims to connect up to four million rural homes and small businesses to high-speed broadband networks. 5G networks are expected to be at least 100 times faster than the current 4G networks, cut delays and allow for innovations in a number of fields. Pai spoke on a call with reporters ahead of the White House event with Trump and rural residents who could benefit from faster networks to tout the administration’s efforts to boost 5G wireless networks and funding for rural broadband. Since November, the FCC has auctioned 1,550 megahertz of spectrum to be used by commercial wireless providers for 5G connectivity. The third 5G spectrum auction will be the largest, with the FCC selling 3,400 megahertz in three different spectrum bands. The Republican administration has also been warning other countries against adopting 5G systems from Chinese telecommunications company Huawei Technologies Co Ltd, citing security concerns. The FCC since March 2018 has also been considering rules to bar the use of funds from a government program to purchase equipment or services from companies that pose a security threat to U.S. communications networks. Pai said that proposal is still pending.